We are deeply grateful for your generosity and support of our efforts. Your gift makes a difference, it enables us to to continue to makes God's love visible worldwide. We count on the ongoing support of donors like you to ensure that we can fulfill our mission. 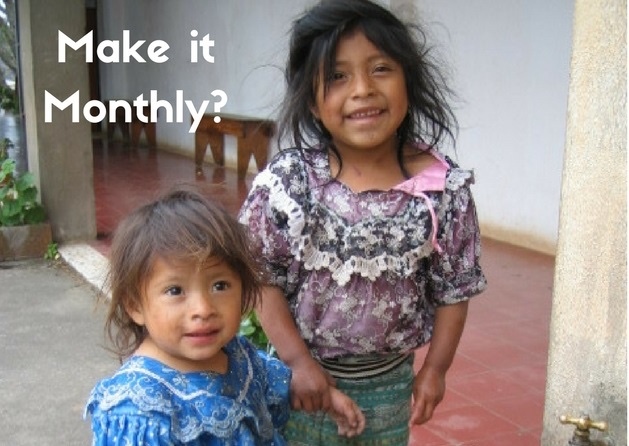 You can give more families moments like this hope by switching your $ gift to a $ monthly gift now. Your monthly support will help keep more families close to the care and resources they need to thrive. Together we are making God’s love visible worldwide.